 It’s Thursday tips time! 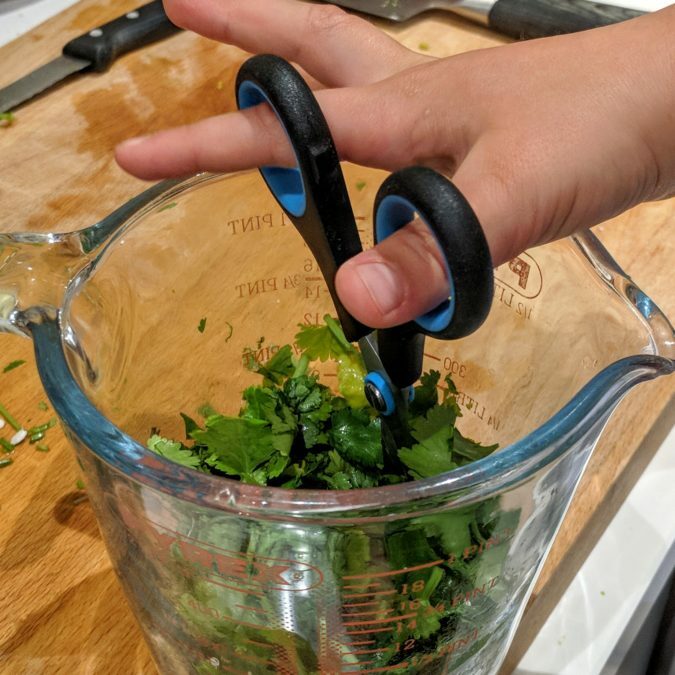 A top tip for getting your kiddos involved in some kitchen action is by using scissors to snip up whatever works.. especially herbs. We pop the herbs into a cup or measuring jug, then they can snip down into the herbs to their heart’s delight without snipping fingers or loosing most of the herbs to the floor! ✂️ If you’ve got scissor-fingers anything like our two, this serves as a useful YES moment allowing them to cut something useful, scratch the cutting urge and help with cooking too! Cutting herbs gives such a nice sensory moment too, releasing the good Herby smells..